The USA is an awesome place when it comes to shopping for things like clothes and groceries. What with many states not adding sales tax, prices are about as cheap as you’ll find anywhere in the developed world. But unfortunately, we can’t say the same about the price of services in the US, which is among the highest in the world. Luxury services like massages, pedicures and laser treatments are expensive for many people. But they don’t have to be! If you’re interested in pampering yourself then check out the new wellness section at Groupon, where you can find all manner of great deals on spa treatments. 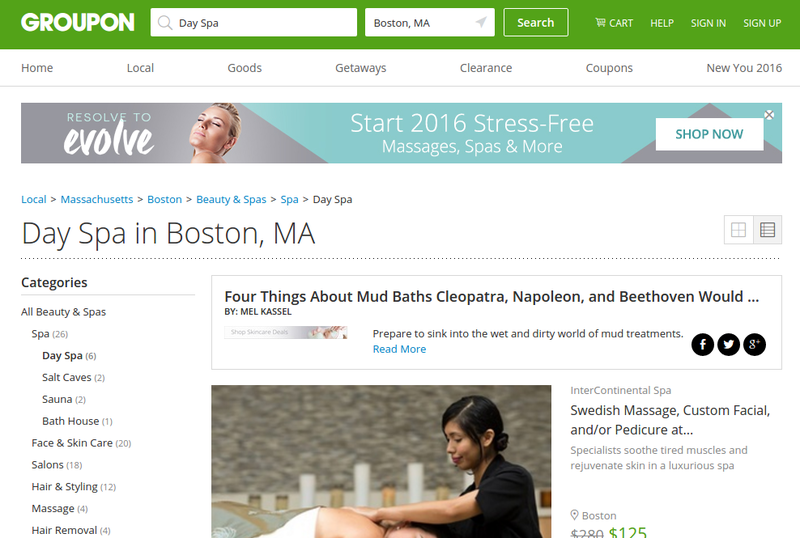 Check out this day spa in Boston for example, where you’ll find great deals on massages, saunas and more.